France adopted DMB-R (aka DMB-A) for digital radio rather than DAB+. Subsequently DAB+ was permitted alongside DMB-R and broadcasters very quickly switched to DAB+. The only residual DMB-R broadcasts remain on the test ensemble in Rambouillet, operated by a car manufacturer. However, even these services are duplicated in DAB+. The market has overwhelmingly opted for DAB+, but DMB-R currently remains a part of the French specification. The regulator has launched a consultation on a proposal to remove DMB-R from the national specification. 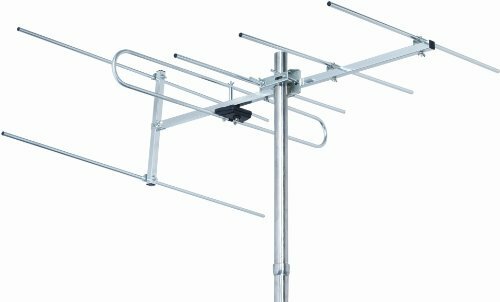 Wohnort recommends that a receiver intended for France should be able to receive DAB+ as a minimum. A DMB-R receiver is only really necessary if you want insurance against the unlikely event of the market suddenly changing its mind. The CSA has advertised a national ensemble, which will operate as an MFN. The selected services may appoint an operator of their choice. In the absence of agreement, the regulator will advertise for an operator. Closing date was November 21st 2018. The CSA is expected to announce details of the admissable applications received in due course. Licences are expected to be awarded in Q3 2019, with a forseen on-air date of H1 2020. The broadcasters allocated capacity on this ensemble failed to reach agreement on a choice of multiplex operator and the CSA withdrew the authorisations from those broadcasters. This frequency assignment is now known officially as "Paris étendu" but is not yet on air in its new form. France Bleu Paris has been reserved capacity. This frequency assignment is now known officially as "Paris intermédiaire". Operator: La Coopérative de radiodiffusion. This frequency assignment is now known officially as "Paris local". This ensemble ceased in September 2018, with its services being accomodated on other ensembles in the city. This ensemble operated in Paris on Block 9A between the dates shown. The frequency is now occupied by RNT Associative. The snapshots below are of test transmissions on Block 9B that have since ceased. The frequency is now occupied by RNT Paris 5. VDL operated an ensemble in Paris on Block 11B. Transmissions are believed to have ceased during 2011. TDF operated an ensemble in Paris on Block 11C. Transmissions ceased in 2012. The CSA advertised capacity on a regional ensemble for Gironde in March 2018 - officially known as "Bordeaux étendu", with a closing date for applications of June 5th 2018. This ensemble is also planned to cover Arcachon. The CSA advertised capacity on a regional ensemble for Haute-Garonne in March 2018 - officially known as "Toulouse étendu", with a closing date for applications of June 5th 2018. Capacity on this ensemble - known officially as "Nantes étendu" - was advertised in July 2017. The successful applicants were announced in January 2018. This ensemble is also planned to cover Saint-Nazaire and La Roche-sur-Yon. The CSA advertised capacity on a regional ensemble for Rhône-Alpes in June 2016 - officially known as "Lyon étendu". The successful applicants were announced in November 2016. Capacity on this ensemble - officially known as "Rouen étendu" - was advertised in July 2017. The successful applicants were announced in January 2018 and their authorisations were announced in September 2018. This ensemble is also planned to cover Le Havre. Ensembles for Amiens are scheduled to be advertised in 2019. Ensembles for Angers are scheduled to be advertised in 2019. The regulator advertised capacity on this ensemble in August 2018, with a closing date for applications of November 7th 2018. The CSA advertised capacity on a local ensemble for Arcachon in March 2018, with a closing date for applications of June 5th 2018. A regional ensemble - officially known as "Bordeaux étendu" is planned to cover this area also. Ensembles for Bordeaux have been advertised. Closing date is June 5th 2018. The CSA advertised capacity on a local ensemble for Bourg-en-Bresse in June 2016. The successful applicants were announced in November 2016. Ensembles for Bourges are scheduled to be advertised in 2022. The CSA advertised capacity on a local ensemble for Bourgoin in June 2016. The successful applicants were announced in November 2016. Ensembles for Brest are scheduled to be advertised in 2019. Ensembles for Annecy are scheduled to be advertised in 2019. Ensembles for Cherbourg-Octeville are scheduled to be advertised in 2023. Ensembles for Clermont-Ferrand are scheduled to be advertised in 2019. The CSA advertised capacity on a local ensemble for Colmar in June 2016. The successful applicants were announced in November 2016. Ensembles for Grenoble are scheduled to be advertised in 2020. The CSA advertised capacity on a local ensemble for Haguenau in June 2016. The successful applicants were announced in November 2016. The operator was announced in July 2018. Ensembles for La Rochelle are scheduled to be advertised in 2020. The town is also planned to be covered by an ensemble for the greater Nantes area. Capacity on this ensemble was advertised in July 2017. The successful applicants were announced in January 2018 and their authorisations were announced in September 2018. The town is also planned to be covered by an ensemble for the greater Rouen area. Ensembles for Le Mans are scheduled to be advertised in 2019. Since the above snapshot was taken, the EId of this ensemble is reported to have changed from F025 to F017, ending the clash that existed with the new local ensemble RNT MULH 18. Ensembles for Limoges are scheduled to be advertised in 2019. The CSA advertised capacity on a local ensemble for Lyon in June 2016. The successful applicants were announced in November 2016. Opemux RNT was originally allocated Block 11B. However, following the co-ordination process, the two allocations for Lyon were swapped and Opemux was allocated Block 5B. The CSA advertised capacity on a local ensemble for Lyon in June 2016. The successful applicants were announced in November 2016. Lyon Local 1 was originally allocated Block 5B. However, following the co-ordination process, the two allocations for Lyon were swapped and Lyon Local 1 was allocated Block 11B. This ensemble has now ceased. This ensemble is understood to have ceased, pending the introduction of the full public service to Lyon. The Block 8D transmitters previously relayed the Block 8A ensemble in Lyon VDL ASF DMB which has now ceased. The CSA advertised capacity on a local ensemble for Mâcon-Cluny in June 2016. The successful applicants were announced in November 2016. The broadcasters allocated capacity on this ensemble failed to reach agreement on a choice of multiplex operator. The CSA has withdrawn the authorisations from those broadcasters. The CSA has not yet announced what it intends to do about this multiplex, although a re-advertisement may take place. This frequency assignment is now known officially as "Marseille étendu" but is not yet on air in its new form. France Bleu Provence has been granted access to the ensemble. RTS FM has announced that it will not be using its allotted capacity on this ensemble and the CSA has revoked its licence. This ensemble ceased prior to the award of capacity advertised by the CSA in June 2012. All L-band transmissions in France have ceased. Ensembles for Metz are scheduled to be advertised in 2019. Ensembles for Montpelier are scheduled to be advertised in 2019. The CSA advertised capacity on a local ensemble for Mulhouse in June 2016. The successful applicants were announced in November 2016. Ensembles for Nancy are scheduled to be advertised in 2019. Capacity on this ensemble was advertised in July 2017. The successful applicants were announced in January 2018 and their authorisations were announced in September 2018..
Capacity on this ensemble was advertised in July 2017. The successful applicants were announced in January 2018. These L-band transmissions have ceased. TThis frequency assignment is now known officially as "Nice étendu". France Bleu Azur has been granted access to the ensemble but is not on air yet. At the time the licence was awarded, this ensemble was to have broadcast on Block 10A. The CSA announced a change of frequency to Block 7B in April 2014. The ensemble has since mirated to Block 8D. RTS FM had announced that it would not be using its allotted capacity on this ensemble and the CSA revoked its licence. Ensembles for Nîmes are scheduled to be advertised in 2019. Ensembles for Perpignan are scheduled to be advertised in 2019. Test transmissions have been conducted using DMB-R and DAB/DAB+ in Rambouillet since 2014. The CSA has extended the licence several times. Ensembles for Reims are scheduled to be advertised in 2019. Ensembles for Rennes are scheduled to be advertised in 2019. The CSA advertised capacity on a local ensemble for Sélestat in June 2016. The successful applicants were announced in November 2016. The services failed to agree on a multplex operator within the timeframe specified by the regulator. The regulator has therefore withdrawn the permissions that had been granted to those services. The CSA advertised capacity on a local ensemble for Strasbourg in June 2016. The successful applicants were announced in November 2016. The operator was announced in July 2018. The CSA advertised capacity on a local ensemble for Strasbourg in June 2016. The successful applicants were announced in November 2016. The CSA advertised capacity on a local ensemble for Tarare in June 2016. The successful applicants were announced in November 2016. Ensembles for Toulouse were advertised advertised in March 2018, with a closing date for applications of June 5th 2018. Ensembles for Troyes are scheduled to be advertised in 2019. Ensembles for Valence are scheduled to be advertised in 2021. The CSA advertised capacity on a local ensemble for Valenciennes in June 2016. The successful applicants were announced in November 2016.